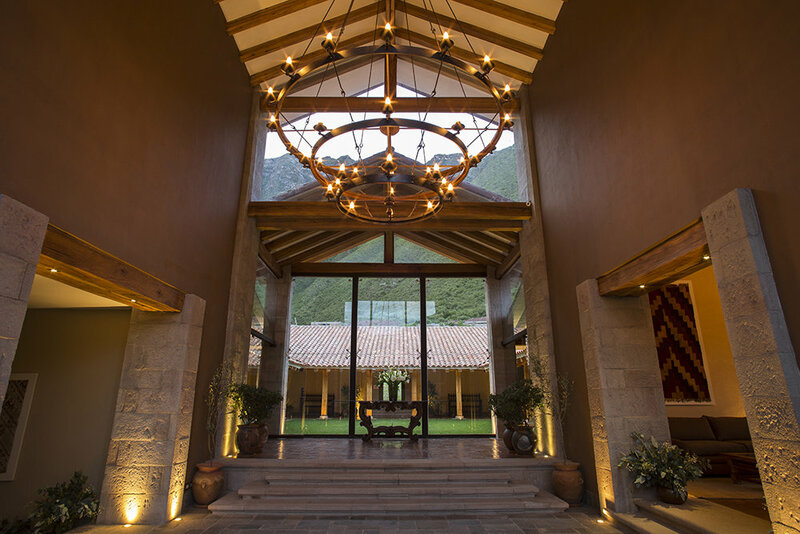 Tucked well above the town of Urubamba in the heart of the Sacred Valley, Inkaterra Hacienda Urubamba is a luxurious five-star hotel with rooms and private villas. 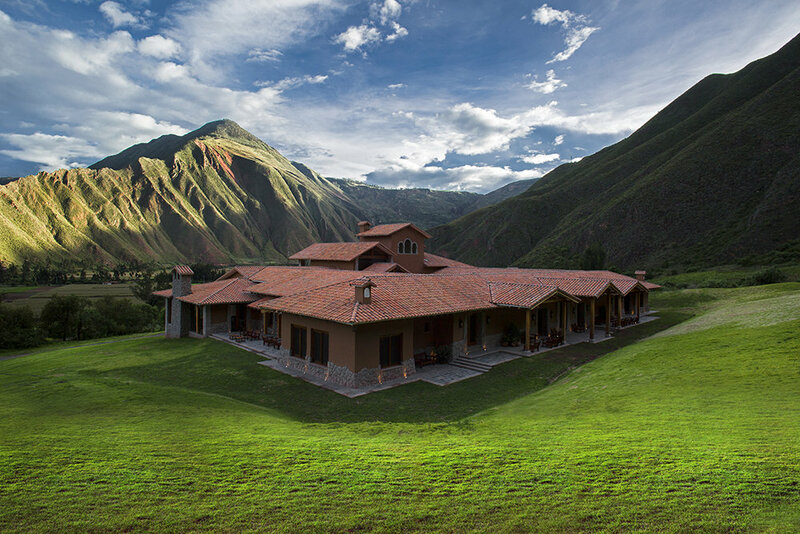 A new-build property from eco-focused Peruvian chain Inkaterra, the property is styled on a traditional colonial Hacienda; the grand estate is set amidst approximately 100 acres of land in the Andean foothills. This luxury hotel features tasteful decor with a firm nod to Peru’s history and local culture. 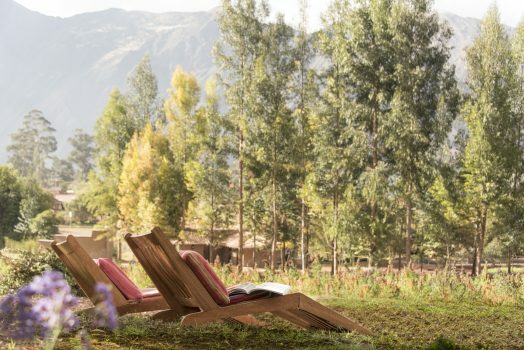 Stylish accommodation comes as rooms, clustered around the main building and its central courtyard, and a collection of 24 spacious, sumptuous stand-alone villas, with private patios to take in the Valley views. 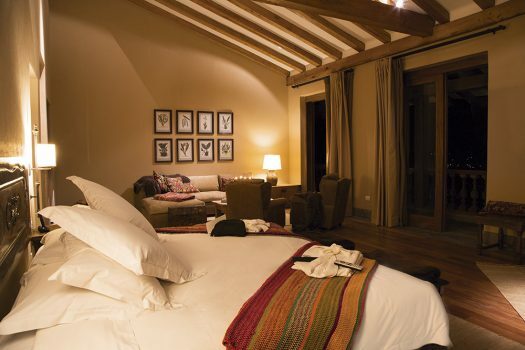 Inkaterra Hacienda Urubamba is one of the best luxury hotels in the Sacred Valley for enjoying this natural setting. 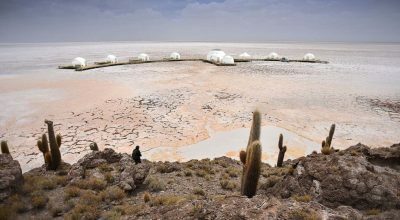 The construction of this luxury hotel may be contemporary, but its architecture and interior decoration draw on the area’s cultural history, combining local custom-made furniture with typical textiles. The main building is constructed around a typical teracotta roof-tiled courtyard, with wall decoration recalling the area’s agricultural roots. In the bar and lounge, colonial furniture, vintage finds, rustic objects, handcrafted woodwork and traditional hand-woven, warm-colored Peruvian textiles blend together to create a stylish yet inviting ambience with a strong sense of place. 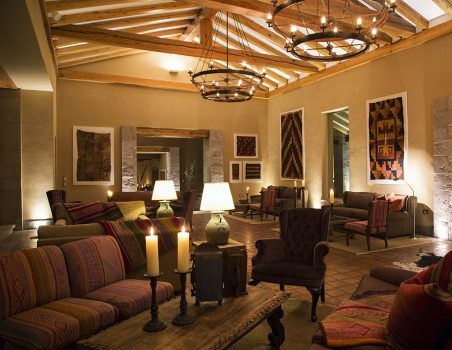 The lounge is warm and homely, in part thanks to the wood burning fire, with ample cozy armchairs and sofas to curl up in. 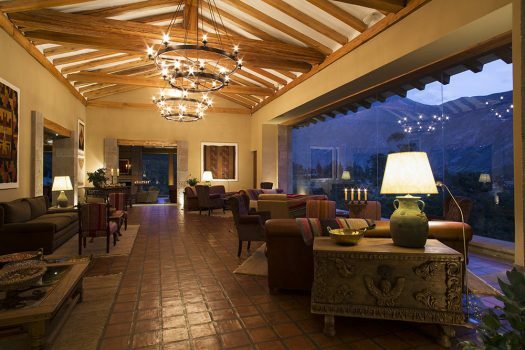 Natural, local materials like eucalyptus beams are used in its construction, complemented by wall-to-ceiling glass windows that maximize the mountain views and make for a striking facade when you arrive at the property. 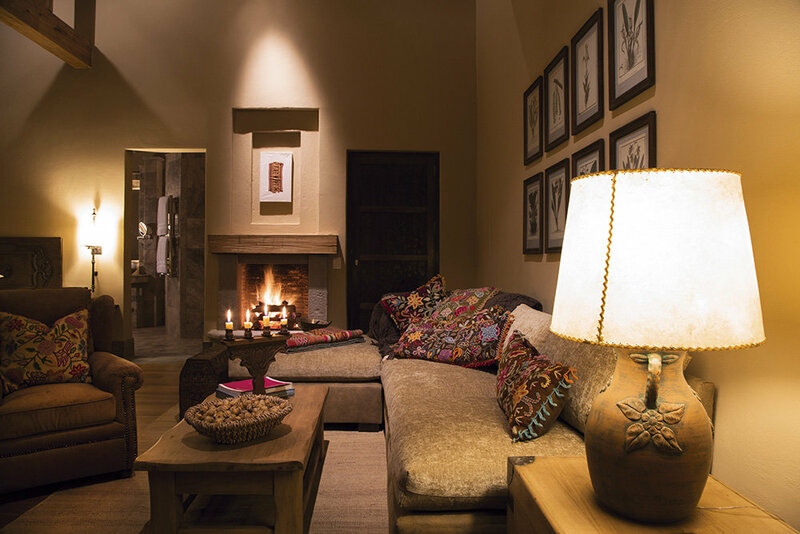 The different room categories are distributed between the main building and individual private villas, the ‘Urubamba Casitas’, all with the same stylish Peruvian design. 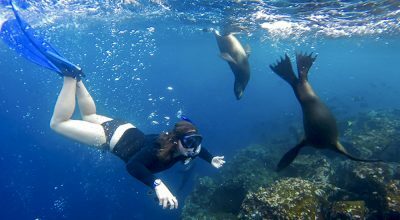 They each offer a mini-bar and selection of snacks, underfloor heating, coffee maker, organic bath products in eco-friendly glass bottles, Wi-Fi throughout and a welcome gift. Sofa beds can be added to rooms for children under 12. There are just a dozen rooms in the main Hacienda building. 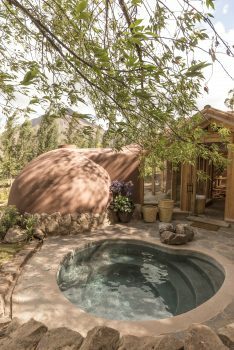 In addition, there are 24 private bungalow villas or ‘casitas’ dotted around the green grounds to the back of the main house. All rooms and villas have great views looking down to the valley, with the exception of a small number of rooms at the back of the main building which instead look up to the villas and the imposing mountains. The rooms are split across different categories. There are nine Urubamba Superior Deluxe rooms (the entry-level category), 24 Urubamba Casitas (standalone private villas separate to the main building), two Urubamba Junior Suites and one Urubamba Suite (the latter is larger than the Urubamba Suite). 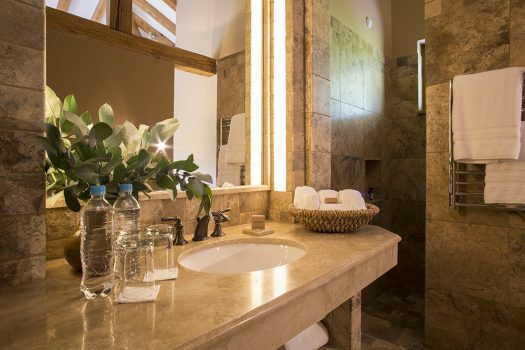 There is also accommodation in the hotel’s top-level room, the Owner’s Quarters. 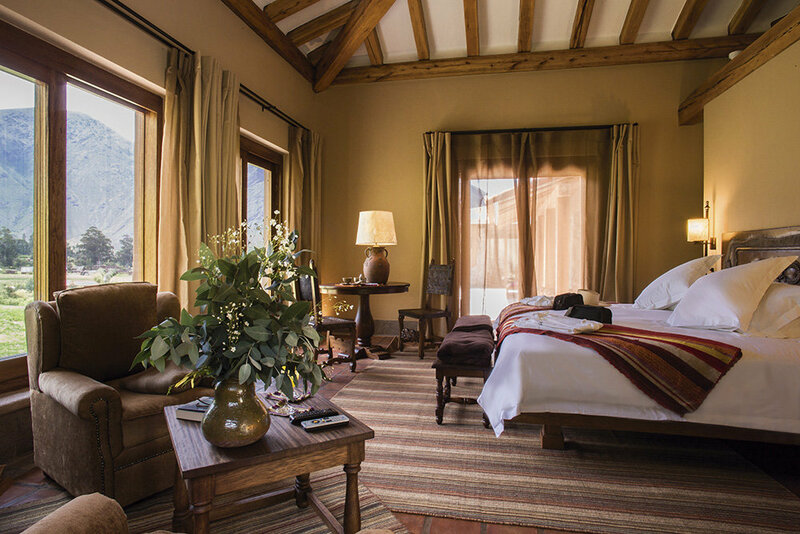 Situated on the upper floor of the main building, this spacious duplex option is comprised of a Suite and two Superior rooms (for up to six guests), or a Suite and one Superior room (for up to four guests). The private villa ‘Urubamba casitas’ are 45m2 (484 sq. ft), each equipped with a chimney fireplace and terrace with mountain views. 100% pima cotten sheets, down duvets and handmade wool coverlets will keep you warm on cooler nights. The ample villas also include space for a dining area for two. Golf buggies whizz you up and down the slope between the villas the the main building. 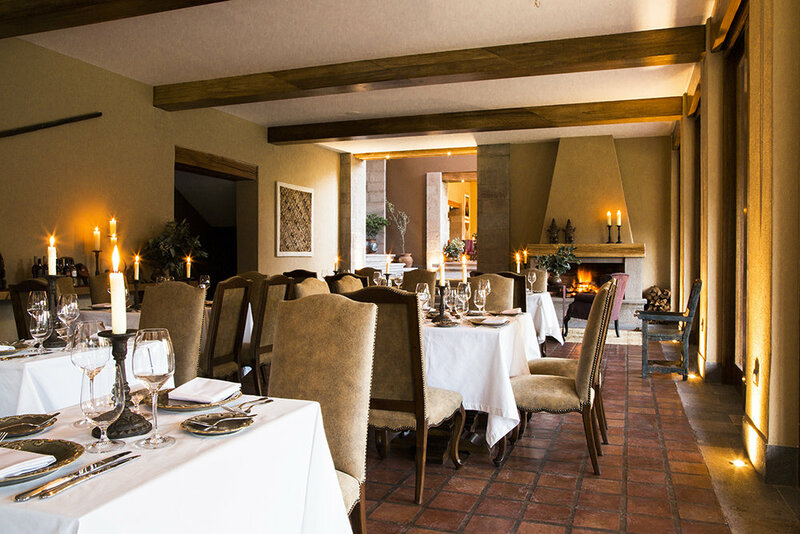 The hacienda has an on-site restaurant for breakfast, lunch and dinner. The gourmet dinner menu places an emphasis on local ingredienrs, many of which are harvesed from the property’s own organic farm such as red quinoa, giant corn, purple corn and numerous varieties of potato. 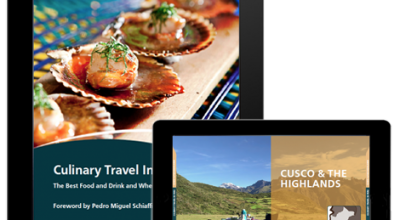 It is also possible to order lighter and simpler meals and snacks at the bar. Tea-time is also included. 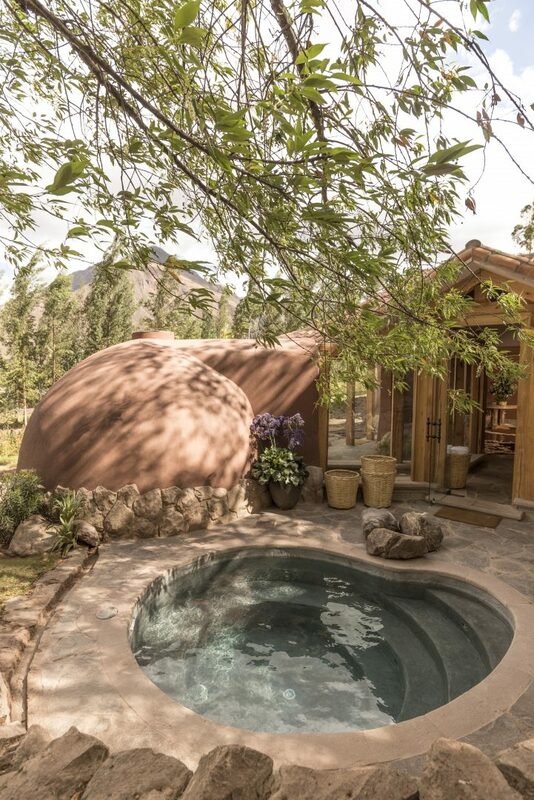 The most recent addition to Inkaterra’s Spa Collection is Mayu Spa (“River” in Quechua). 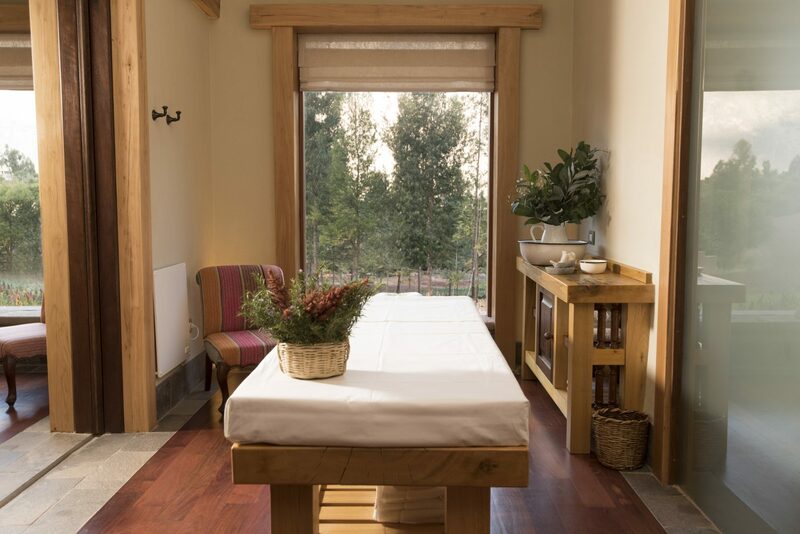 With a rustic chic design inspired by traditional Andean architecture, Mayu Spa features relaxing views of the surroundings as it is found on a foothill in-between Inkaterra Hacienda Urubamba’s organic orchard and an enchanting peppertree forest. With treatments based in 100% natural products derived from native medicinal herbs, the new wellness center has a plunge pool, four private therapy rooms and a dry sauna – a spiritual and soothing experience amid the Sacred Valley’s evergreen mountains and harvest fields. Hacienda Urubamba includes a range of gentle guided activities within the grounds of the property as part of the room rates. 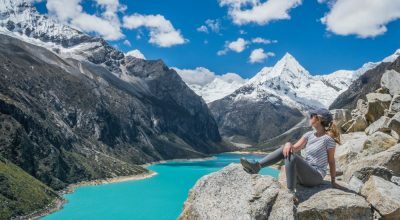 Many of these light activities take only a quarter of a day, so are easy to combine with other touring activities you may be doing in the Sacred Valley. 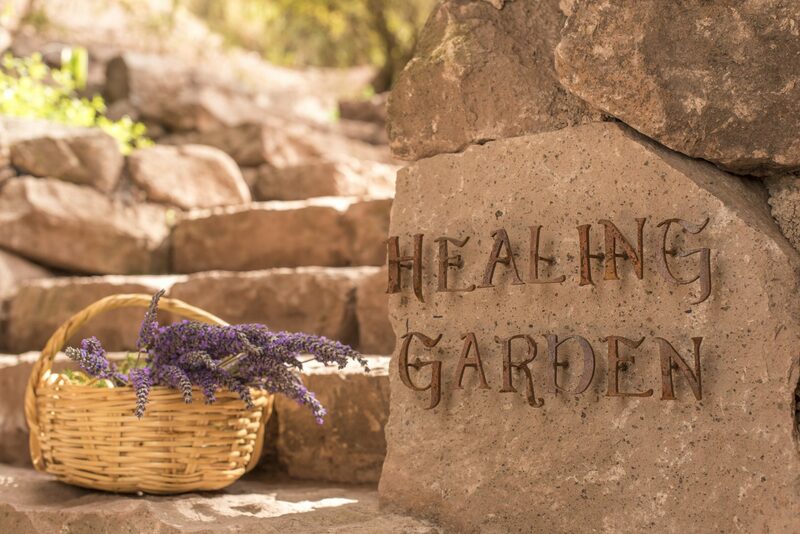 One of the most popular activities is a visit to the on-site ecological farm, from where the ingredients of many of the hacienda’s delectable dishes are sourced. You can also learn about the production of ‘chicha de jora’ with a half-day, learning about the ancestral production of this alcoholic beverage. Guides also take guests on twilight walks and birdwatching, where you might expect to see hawks to hummingbirds. 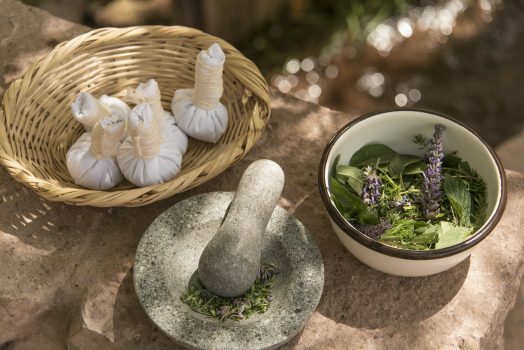 Inkaterra Hacienda Urubamba can also host special services and experiences on request, like a traditional payment to Mother Earth, a kid’s treasure hunt, coca leaf reading or Pachamanca lunch using traditional cooking methods of an earth-oven.